All over the world women are finding their voices. From speaking out against sexual assault to workplace inequalities, we have reached a point where the great disparities among the sexes are being acknowledged and challenged. Among these voices, we are hearing from mothers. For so long, there has been such a narrow definition of motherhood. A definition that includes only happiness and baby cuddles and lullabies. But what about those for whom this definition doesn’t fit? What about those, who, when they become a mother, find themselves unhappy or struggle with the immensity of this change? Is it any coincidence that now, when women are making themselves heard, we are seeing such a boom in motherhood memoirs? Recently there is the Giller Prize nominated Motherhood by Sheila Heti. 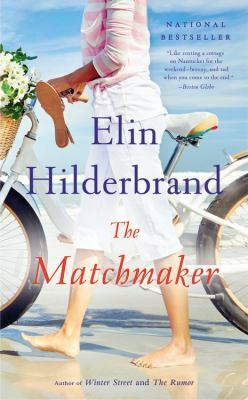 As with Heti’s other writing, this novel blurs the line between fiction and non-fiction as the narrator, a writer in her late 30’s and in a serious relationship, considers having a child. Though this is a huge, life-altering decision, it is rarely given much critical thought, but Heti’s narrator understands the immensity of this decision and carefully weighs her options, wondering if she’s willing to sacrifice her art for a child, and which is more important. A lighter read, Meagan O’Connell’s And Now We Have Everything: On Motherhood Before I Was Ready is a less heady, perhaps more relatable book for new mothers. Based on her experience of pregnancy, childbirth, and motherhood, O’Connell does not shy away from the messy, ugly, devastating parts of the topic while keeping her sense of humour intact. In Like a Mother: A Feminist Journey Through the Science and Culture of Pregnancy, Angela Garbes writes about women’s bodies through a mix of science and personal experience. Her book offers fascinating facts about the placenta, the transfer of cells between mother and fetus, and the wonders of breastmilk. Garbes encourages women to trust themselves and ask questions of their health providers, allowing pregnant women and new mothers to make informed decisions. Two classics in the motherhood memoir genre are Anne Lamott’s Operating Instructions: A Journal of My Son’s First Year and Rachel Cusk’s A Life’s Work: On Becoming a Mother. Lamott’s book takes the form of a diary of her first year of motherhood. Told in a sarcastic and witty way, Lamott struggles as a single parent but has a community of friends and her faith to help her. Cusk’s book is more thoughtful and philosophical. She writes about sleeplessness and colic and breastfeeding, but also how to navigate this new identity for herself. Whether you’re a new mother trying to find your footing or a seasoned pro, there is something so satisfying about recognizing your own experiences in someone else’s writing. As women become increasingly empowered to share their truths, I can only imagine the writing that is to come. What’s New in the Local History Room? It’s time to take a look at some of the recent arrivals in the Local History Room. In Riel’s Defence: Perspectives on His Speeches the focus is on two speeches that Louis Riel gave during his trial for high treason following his capture after the North-West Rebellion: the first addressing the jury and the second (rarely re-printed) to the court following his guilty verdict. Both speeches are analyzed in collected essays by several contributors interested in their philosophical and rhetorical elements. The themes that are central to most essays are how Riel sought to dissipate any doubts about his sanity using rational arguments and the merit of the legal case he presented in his defence of treason, which by extension was also affirming the rights of Métis people. Veteran local politician Gord Mackintosh offers and unconventional political memoir accessible to Manitobans of all political stripes. Stories Best Left Untold: Tales from a Manitoba legislator is a behind-the-scenes look at provincial politics that focuses on anecdotes from his career, spanning events like the French Language Crisis, Meech Lake Crisis, MTS Debate, and Flood of the Century, culminating in the party rebellion against Premier Greg Selinger. Though Selinger refused to resign and survived the mutiny, the provincial NDP was fatally weakened, something Gord attributes to his opponents not taking the time to gather enough support before launching the revolt. The book also includes chapters about his youth growing up in Ontario and his career as a lawyer and his rise in politics. Though the great waves of unidentified flying objects sightings is behind us, the phenomenon still intrigues to this day. Fifty years ago this year, Winnipegger Stefan Michalak claimed to have had an encounter with a mysterious aircraft that left him seriously injured. When They appeared: Falcon Lake, 1967, The Inside Story of a Close Encounter was written by his son Stan and UFO researcher Chris Rutkowski. It includes Stefan’s original account of the encounter and relates how him and his family dealt with the government investigation and the extensive media coverage that followed. The book reviews the evidence left at the site, includes copies of transcripts of interviews and reports made at the time by the RCMP and other agencies, as well as tell Stan’s personal experiences and how the incident shaped his youth. From the Outside in: Jewish Post & News Columns, 2015-2016 is a collection of columns written by Joanne Seiff for Winnipeg’s Jewish Post and News. These cover a wide range of topics of interest from raising children, social justice to the keeping of religious practices. The author also includes anecdotes about her personal experiences, notably about moving to unfamiliar Winnipeg from the States and how they adapted. On June 19th, 1816 an event occurred that had a pivotal impact on the history of what would become Manitoba (even if it has somewhat receded from our collective memory). This was the of Battle of Seven Oaks that broke out between rival hunting parties of the fur trade companies (the Hudson Bay and North West) that were vying for control of the territory. The Seven Oaks Reader by Myrna Kostash offers a comprehensive retelling of the Fur Trade Wars. The book incorporates period accounts and journals, histories, memoirs, songs and fictional retellings, from a wide range of sources. And to conclude, in The Forks, a Meeting Place Transformed by Sheila Grover you can learn about the early history of The Forks, the fur trade and railway eras, and the transformation from an industrial site into one of Winnipeg’s most popular gathering places. The book also includes a self-guided tour of the historic and contemporary buildings and landscapes. This is an ideal title to learn about how much the Forks have changed, especially in the last decades. Come to the Local History Room and check it out! Now more than ever it seems that life is ridiculously busy. The evolution of technology which was intended to make life easier has instead created more problems and accelerated the pace of our lives to a ridiculous, unsustainable velocity. Just listen to someone yelling at Siri if you don’t believe me. We’ve gotten so advanced that we’re de-evolving in some ways. Instead of using the prefrontal cortex of our brains, which manages planning, emotional reactions and solving problems we’re in a continual state of overdrive on the amygdalla, which governs our fight or flight reactions and our sense of fear. In the midst of all of this sound and fury seeking tranquility and calm can feel like another source of stress. Finding the perfect time and place to contemplate life is a very tall order, but meditation doesn’t have to be done sitting in the lotus position in an empty room for hours at a time. Meditative practices can be done anytime and anywhere, and the benefits are immediate and amazing. Each chapter of this book offers a new insight into ways to bring more mindfulness and relaxation into everyday life, even when you’re washing dishes or driving to work. The mindfulness practices Jon Kabat-Zinn writes about are easy and accessible techniques to bring a little meditation into your daily routine. With a little practice, it becomes as automatic as brushing your teeth, and can have as many health benefits. Not only does this book have one of the top 10 non fiction book titles of all time (it’s number 8 on my list) it contains an intriguing mix of Eastern medicine, Western therapies and ancient teachings. William Miklaus has brought these concepts together in a way that speaks to someone looking for physical benefits as well as to someone in search of a more creative way of living. Pema Chordron is the first American woman to become a fully ordained Buddhist monk. She has written numerous books, and is the director of the Gampo Abbey in Nova Scotia. This is a book to be read slowly and in stages, in order to begin to absorb the teachings. I found myself with more questions than answers by the end, but surprisingly it wasn’t frustrating, more like walking through a narrow gap in a hedge to find more beautiful gardens to explore. If you’re not looking to contemplate, but still feel flooded and overwhelmed, try checking out A Boy Named Queen. In this children’s book, Queen teaches a classmate a great lesson about filtering out the cruel words of their schoolmates. Sara Cassidy wrote this book for children, but the message works just as well for adults who need to take a step back from all of the unwanted input that is constantly bombarding us. Even if just reading the word meditation immediately fills you with fear and loathing, you can still find some measure of calm and centeredness in our super saturated, super speedy world. Just take a moment, take a breath, and be here now. Happy First Day of Spring, everybody! We made it! (Well, actually that was yesterday, but we’re librarians not climatologists). I don’t know about you, but when the ol’ equinox rolls around, I like to start thinking about baseball. The teams have been doing their spring training, uh, training for the past few weeks and we are just days away from the start of a new season. There’s no better time than now to check out some of the newer baseball related items the library has to offer. 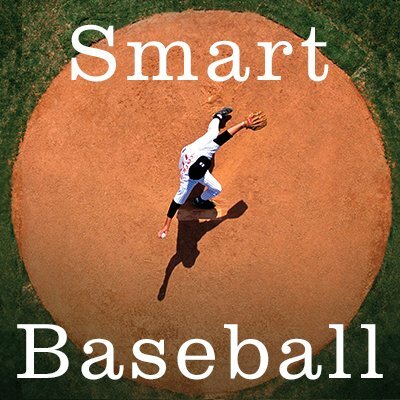 If you’ve seen the movie or read the book Moneyball, you’ll know that there is a tension in baseball between the traditional methods of evaluating players and the newer statistical methods collectively known as “sabermetrics”. In this book, veteran ESPN writer and statistical analyst Keith Law covers a lot of the same ground and demonstrates why the old ways don’t really yield meaningful results. Despite this, baseball is filled with superstition and many of the old criteria, like favouring a player who has “the good face” still pops up now and again. He also does a good job at explaining and demystifying some of the newer stats that have become such a big part of today’s game. Baseball is complicated, but one thing is certain: you need solid pitching to win games, or at least to not lose games. Is that the same thing? Who’s to say? Terry McDermott frames his book around 9 chapters, with each one looking at the history of a different type of pitch. 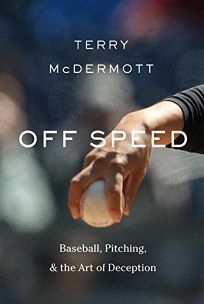 Mr. McDermott, like Keith Law, recognizes that baseball relies just as much on folk wisdom as it does on modern statistics, and he does a good job here in using both kinds of knowledge in his research. And even those this book may only really appeal to die-hard baseball fans, you gotta love a non-fiction baseball book that begins with a Field of Dreams reference. 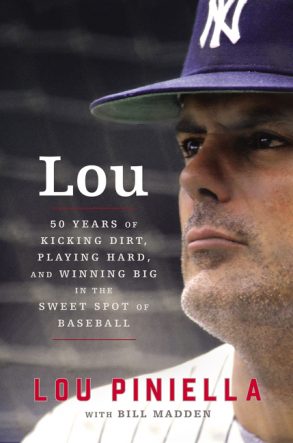 It was only a matter of time before Lou Piniella wrote a book about baseball. The guy has been involved with the game for over 50 years, first as an outfielder in the 1970’s with the New York Yankees, then later as a manager of 5 major league teams. He’s even done some time in the broadcast booth. He’ll probably be best remembered as a guy who liked to yell and scream at umpires though, and I’m pretty sure his nickname, “Sweet Lou”, was ironic. I wonder if his memoir is written in ALL CAPS? If you don’t believe me, have a look at this short video clip highlighting some of the debates in which he took part over his illustrious career. Some of those debates were with a second base, apparently. I think we need a palette cleanser after that, and luckily Stacey May Fowles provides the perfect alternative. Of all the baseball books coming out this Spring, I am most looking forward to reading hers. Currently a columnist with The Globe and Mail, Stacey May Fowles has also written a couple of novels Infidelity and Be Good. 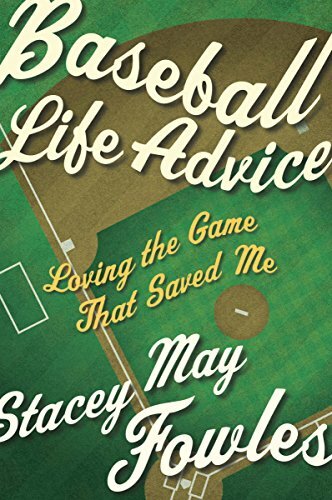 In Baseball Life Advice, Ms. Fowles writes from the perspective of a unabashed baseball fan, and all the thrills and simple joys that come with visiting a ballpark and following a favourite team. Already a fan of her prose, I have a feeling that her baseball book will be something special. Early reviews suggest that even if you are not a baseball fan, you’d do well to pick up this memoir. If your eyes glaze over with stats talk (like mine do), and if you can only take a little bit of yelling, (sorry Lou! ), then I think Ms. Fowles will speak to that part of the fan that cannot be quantified: the baseball lover’s spirit. BookFest! The Bookiest of Days! Like a wine tasting — but with books! We will provide small yummy samples of new and top titles in prairie fiction and non-fiction. A sure way to find new favourites, with one of the showcased books up for grabs at every ‘tasting’. Running time is 11 am – 4 pm in the Anne Smigel Room (second floor, west side of the library). I’ve started to notice a trend in what books pique my interest enough to pick them up (bold colours, retro photographs). What kind of cover makes you reach for a particular book? How does a publisher choose which cover to use? Why do so many book covers feature headless people, anyway? Charlene Diehl of the Winnipeg International Writers Festival will lead a discussion 2-3 pm in the Carol Shields Auditorium featuring cover designers from Doowah Design and Mel Matheson, Librarian Barbara Bourrier-Lacroix, and Jamis Paulson of Turnstone Press. See what I mean by a headless cover? Tables and tables and tables of local authors and publishers scattered around the second floor, with prize draws every hour! From 11 am to 4 pm. Anishinaabe artist Jackie Traverse will be showcasing her brand new Indigenous colouring book, Sacred Feminine. Colouring sheets will be available to try out. From 11 am to 4 pm in Wii ghoss. We know you’re always searching for good book club picks and we’ve got titles your group will love (or love to discuss, at any rate)! Plus, enter to win a set of 10 copies of The Opening Sky and an appearance by its author Joan Thomas at your book club! Just in case you weren’t already staggering under armloads and lists of to-read books, there’s still more! Displays of recommended reads on different themes will be stashed throughout the second floor, including a selection of titles personally curated (so fancy) by our Writers-in-Residence, Christine Fellows and John K. Samson! See you Saturday, November 19 all over the second floor, Millennium Library, 251 Donald Street!! Posted in Book Clubs, Library News, Miscellaneous, Readers' Resources, What to Read Next? This summer, the Library is challenging you to expand your reading horizons! Hunt down titles to meet the challenge of your choice, chat with staff for help, browse our displays, or check out the picks below. For every week you try something new, enter our prize draws at any WPL branch! Week 5 is Voices Week, so prepare to hear from a new point of view. *All of the picks below can be requested for pickup at your closest branch! Search and place holds with our catalog. Kristina Snow is the perfect daughter, but she meets a boy who introduces her to drugs and becomes a very different person, struggling to control her life and her mind. The principal of Opportunity High School in Alabama has just finished her speech welcoming the students to a new semester, when they discover that the auditorium doors will not open. Someone starts shooting, and four teens, each with a personal reason to fear the shooter, tell the tale from separate perspectives. Three students at an exclusive Manhattan ballet academy compete for the status of prima ballerina, each willing to sacrifice, manipulate, and backstab their way to the top. In a world where mandatory cosmetic surgery is performed on everyone when they turn sixteen, Shay escapes to join a band of outsiders avoiding surgery, and Tally is forced to find her and turn her in. Retells in graphic novel format the first Outlander novel from Jamie Fraser’s point of view, revealing events never seen in the original story. The fastidious life of clean-shaven Dave is upended on a fateful day when he grows an unstoppable, impressive beard, in a darkly comic, award-winning meditation on life, death and what it means to be different. Seattle teenagers of the 1970s are suddenly faced with a devastating, disfiguring, and incurable plague that spreads only through sexual contact. A loving celebration of the final years of the author’s aging (and quirky) parents through cartoons, family photos, and documents. A first-hand account of the author’s lifelong struggle for civil and human rights spans his youth in rural Alabama, his life-changing meeting with Martin Luther King, Jr., and the birth of the Nashville Student Movement. Follows the relationship between two refugee child slaves, Dodola and Zam, who are thrown together by circumstance and who struggle to make a place for themselves in a world fueled by fear and vice. The inspiring true story of a transgender girl, her identical twin brother, and an ordinary American family’s extraordinary journey to understand, nurture, and celebrate the right to be different. A celebrity journalist chronicles his bullying behaviors throughout his Southern youth, his friendships with such figures as Eudora Welty, and the impact of journalist Frank Hain’s murder on his career. Part-memoir, part-manifesto from a super popular web writer chronicles the coming of age story of a gay man with cerebral palsy in an all-wired, overeducated, and underemployed world. Born a boy and a girl but raised as a boy, Wayne or “Annabel” struggles with his identity growing up in a small Canadian town and seeks freedom by moving to the city. An unusual memoir done in graphic novel format offers a darkly funny family portrait of her relationship with her father, a historic preservation expert dedicated to restoring the family’s Victorian home, funeral home director, high-school English teacher, and closeted homosexual. One night, when Clementine goes with her friend to a gay bar, she becomes captivated by Emma, a punkish girl with blue hair. This event leads Clementine to discover and explore new aspects of herself. Only one week left to jump in. What challenges have you tried? Posted in Miscellaneous, Seasonal, What to Read Next? 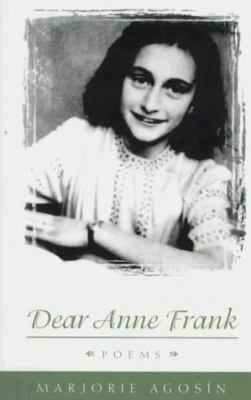 I have a vivid memory of being in my local library as a kid and picking up The Diary of a Young Girl (also known as The Diary of Anne Frank). My Mom said to me: “I’m not sure if you should read that. It’s very sad!” She thought it best to shield me from the heartbreak of Anne’s story for just a little bit longer. 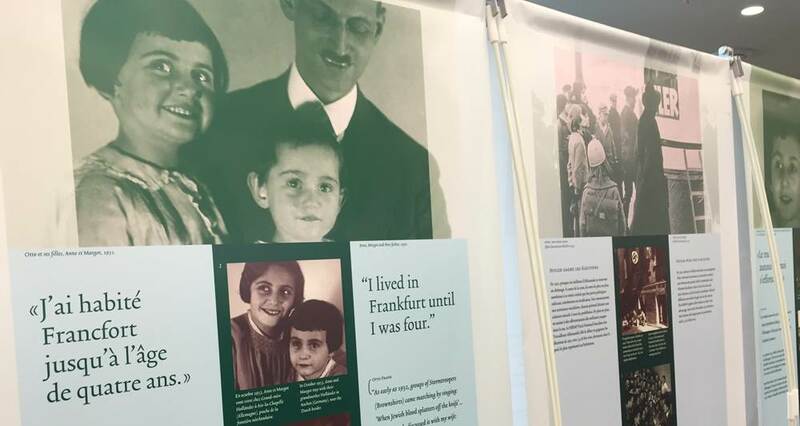 Fast-forward about 15 years and I was asked to be one of the tour guides for the travelling exhibit currently at Millennium Library – Anne Frank: A History for Today. At this point, I had seen the play multiple times and even visited the Anne Frank House in Amsterdam, but I still hadn’t done the diary justice. So, I just recently read the famed book and of course my Mom was right, it is a heartbreaking story! Most people know what happened to Anne, her family, and the six million other Jewish people the Nazis systematically murdered (not to mention the other groups Hitler persecuted based on ethnicity, ability, sexuality, etc.). It’s a devastating piece of history, but when reading the diary there are moments where you somehow forget how the story ends. Anne’s writing is eloquent and you can’t help but be sucked in by the unexpected humour, glimpses of teenage romance, and Anne’s perpetual charm. As Anne’s diary is a cultural phenomenon, I was not entirely surprised to find a variety of other books about her life. The following titles take the diary in new directions and cross into different genres. No matter what your age, there is a version of Anne’s story for you. 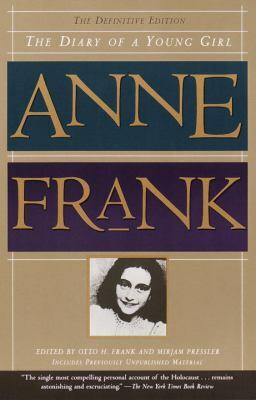 Each of these books can be found at the Winnipeg Public Library, but be sure to keep searching as this is just a fraction of our collection on Anne Frank, the Holocaust, and World War II. 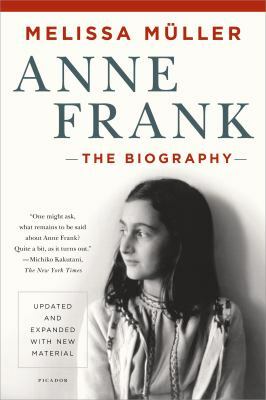 In this first biography of Anne Frank, Melissa Müller’s thorough research creates a compelling portrait of Anne’s life. Originally printed in 1998, this book contains interviews with family and friends, as well as previously unpublished letters and documents. A new edition of this biography was released in 2014, full of even more information that has since emerged. These documents, along with the Frank’s family tree and an epilogue by one of the family’s helpers, Miep Gies, shine light on this incredible girl. 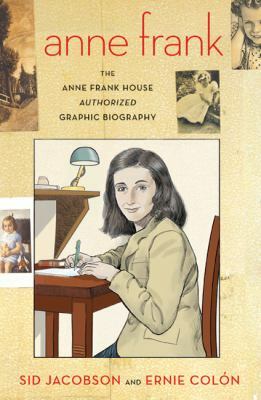 This biography in graphic novel form is an illustrated account of Anne’s life. New York Times bestselling authors, Sid Jacobson and Ernie Colón, seamlessly work Anne’s story into the history of World War II and the Holocaust. The book contains a concise chronology of events in the history of the Frank family – an extremely helpful tool for any reader. This graphic novel by Elizabeth Hudson-Goff focuses on both sides of the attic – life before going into hiding and a glimpse at what her final days in a concentration camp may have looked like. A quick read that can easily be finished in one sitting, illustrations bring a new dimension to this famous story of survival. A poetry collection that is a tribute to Anne’s life. In most pieces, Marjorie Agosín holds a conversation with Anne, addressing her courage and curiosity. Poetry, and the dialogue Agosín creates, brings Anne’s narrative to life in a unique way. A beautifully illustrated picture book that relays Anne’s story – from birth to death – to a younger audience. 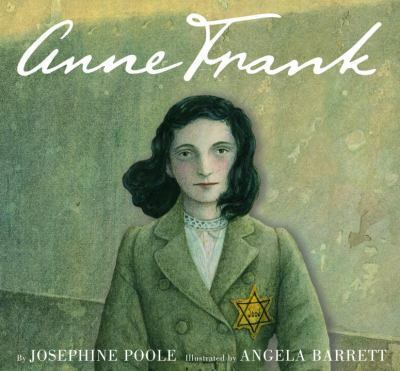 By explaining how the Franks end up in hiding, Josephine Poole provides an introduction to the Holocaust for children that is easy to understand. The story ends on a positive note, with Otto, Anne’s father, receiving her diary after the war. The diary ensures that the rest of the Frank family will live on after their senseless deaths. 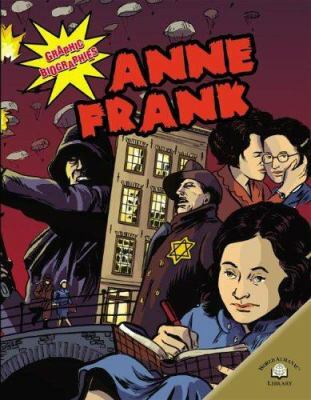 This book is a history in pictures published by the Anne Frank House. 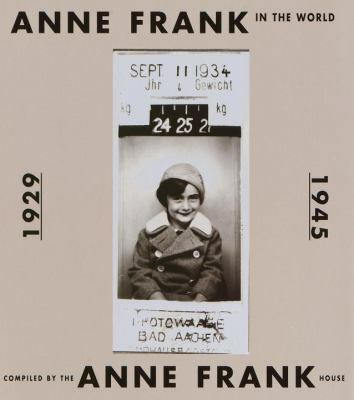 While the focus is primarily on the Holocaust, the book is framed by Anne’s story. By continually returning to photos of the Franks, the reader is reminded that the victims of the Holocaust are not just a statistic but are real people. The travelling exhibit has come all the way from the Anne Frank House in Amsterdam! It officially launched on Monday, July 11, at the Millennium Library, where it will run until September 3rd. We encourage everyone to spend some time looking at the beautifully crafted panels. There are also a number of guided tours available, in English or French, that you can register for by calling 204-986-6489. Each tour will begin in the Carol Shields Auditorium (second floor) and will last up to 90 minutes. Those who want to book group tours for more than 10 people can register by calling 204-986-6458. Posted in Library News, Miscellaneous, Readers' Resources, What to Read Next? So we’re starting the second week of our GO WILD Summer Reading Challenge. Have YOU taken the challenge yet? This summer, the Library is challenging you to expand your reading horizons! Each week we offer three ways for you to read something you might never have read before. Find all the Challenges at your favourite WPL branch (or online). Chat with staff to find a great title for any challenge, or check out the little list of recommended reads below. Tells the story of an Afrikaner family and their domestic servant Beauty Mapule set in post-apartheid Johannesburg. Musically blessed Baldur is haunted by Lara—his muse and tormentor – who leads him from small town Manitoba to the boom town days of early Winnipeg. English professor Janey wonders if she’s coming unraveled, as she faces a daily life of work, friends and family, and her despotic toddler Little Max. Stuck working at a chicken slaughter-house in a town run by religious fundamentalists, 16-year-old Nomi still bears witness to the dissolution of her family with a dark, sly wit. Two volumes by 24 newcomers participating in writing groups held by the Winnipeg Public Library. Early Winnipeg was full of excitement — murders, cheating lovers and tragic accidents. Discover the city’s best known ghost stories, as well as some new ones. The journey of Gabe Langlois, one of Winnipeg’s most recognized figures. Identifying, harvesting and preparing over 65 of Manitoba’s most intriguing wild plants and mushrooms. The daily life of Sanaaq, her daughter Qumaq, and their small northern Quebec community facing the growing intrusion of the qallunaat (the white people). The French conquest of Canada through the eyes of Huron (Wyandot) warrior Bird, his Iroquois captive Snow Falls, and Jesuit Missionary Père Christophe. An amazing collection including historical writings, stories, poetry, nonfiction, and speeches. In 1971, aspiring teacher Betty was abducted and murdered by four young men. Initially met with silence and indifference, her story resonates loudly today. Personal recollections by a wide spectrum of Aboriginal women tell stories of injustice, racism, genocide and sexism, but also of awakening, fierce struggles and hope. Bev Sellars, Chief of the Soda Creek Nation in northern B.C., describes the impact of St. Joseph’s Mission Residential School (which operated from 1891 to 1981) on herself, her mother and her grandmother. Explores how the gap between computer and human (shrinking with each technological advances) echoes the one that exist between ordinary people. Former slave Zacharias Wythe has just been appointed England’s new Sorcerer Royal – and faces a dwindling national supply of magic. An Iranian-American-Muslim female stand-up comedian asks how can we combat the racism, stereotyping, and exclusion that happen every day? What’s the connection between diet and mood? Our gut reactions are intimately connected with our physical and mental well-being. Sent to Barbados after their mother can no longer care for them, sisters Phaedra and Dionne spend the summer of 1989 with their grandmother Hyacinth, a midwife and specialist in the local spiritual practice of obeah. Amid the suffragette movement in Victorian London, the disappearance of a famous trapeze artist in the middle of her act leads a young Fleet Street reporter and a police inspector into the world of a bizarre secret society. When a Blockbuster Video opens up near a declining mom and pop video store owned by a drunk pop-culture junkie, the store’s misfit employees conduct a series of wild schemes to fight the big box invasion. Have you tried something new? How did it go? Posted in Miscellaneous, Readers' Resources, Seasonal, What to Read Next? Are you up for the Go Wild Challenge?? Starting July 4, the Library is challenging you to EXPAND your reading horizons with the GO WILD! Summer Reading Challenge. Each week we will offer three ways for you to read something you might never have read before. To find the right book for you, browse our shelves or catalogue, check out our displays, and stay tuned to this blog. When terrorists seize hostages at an embassy party, an unlikely assortment of people is thrown together, including American opera star Roxanne Coss, and Mr. Hosokawa–Japanese CEO and her biggest fan. The Trueba family embodies strong feelings from the beginning of the 20th century through the assassination of Allende in 1973. In a prequel to Jane Eyre, Creole heiress Antoinette Cosway lives in Dominica and Jamaica in the 1830s before she travels to England, becomes Mrs. Rochester, and goes mad. In a near future that is not quite ours, a major scientific breakthrough permits historians to view, but not participate in, past events. Interweaves the story of British explorer Percy Fawcett, who vanished during a 1925 expedition into the Amazon, with the author’s own quest to uncover the mysteries surrounding Fawcett’s final journey and the secrets of what lies deep in the Amazon jungle. A chronicle of the author’s seven-month motorcycle journey throughout South America reveals the beginning of his transformation into a dedicated revolutionary. Describes the author’s quest to walk the entire length of the Amazon River, offering details on the effects of deforestation and his encounters with both vicious animals and tribal members with machetes. The great-granddaughter of Iran’s last emperor and the daughter of ardent Marxists describes growing up in Tehran in a country plagued by political upheaval-al and vast contradictions between public and private life. The award-winning author recounts his boyhood in war-torn Jerusalem of the 1940s and 1950s, his mother’s tragic suicide, his decision to join a kibbutz and change his name, and his participation in Israel’s political upheavals. Describes the life of the young Pakistani who survived an assassination attempt and became the youngest nominee for the Nobel Peace Prize. The lives of a fading aristocrat, voluptuous siren, devout doorman, secretly-gay editor, roof-squatting tailor, and corrupt politician intertwine in an apartment building in downtown Cairo. A young Arab-Indian computer hacker unearths a secret book of the jinn, a book that may open a gateway to unimaginable power. Follows the lives and choices of two best friends, Bassam and George, caught in Lebanon’s civil war. Both men are desperate to escape Beirut but choose different paths to accomplish their goals. A novel of postwar life in Sierra Leone, in which two friends struggle to rebuild their ruined village despite violence, scarcity and a corrupt foreign mining company. Re-creates the 1960s struggle to establish an independent republic in Nigeria, following the intertwined lives of the characters through a military coup, the Biafran secession, and the resulting civil war. The lives of a fierce evangelical missionary and his wife and four daughters begin to unravel after they embark on a 1959 mission to the Congo. Forced to commit unspeakable atrocities after being abducted by the Lord’s Resistance Army, Ugandan teen Esther struggles to survive and escape. Ferguson travels deep into Rwanda with friend Jean-Claude Munyezamu, who had escaped just before the genocide, where they discover a country reborn. The leader of South Africa’s anti-apartheid movement chronicles his life, including his tribal years, his time spent in prison, and his return to lead his people. Posted in Library News, Miscellaneous, Readers' Resources, Seasonal, What to Read Next? Fermentation is a process that dates back more than 6,000 years, when it was likely used by our ancestors to make alcoholic beverages and preserve food. Fermented foods are enjoying a renaissance. Examples include making alcohol from fruits and grains, kombucha from tea and sugar, kimchi from vegetables, yogurt or kefir from milk, and sauerkraut from cabbage. Danielle Nykoluk promoted the benefits of fermented foods at a recent Taste Buds Cook Book Club meeting at the Fort Gary Library. Danielle is a founder of The Real Food Revival which offers traditional food skill-based workshops for folks who want more choice and control over their health and the health of the environment. She demonstrated how to make the health-supporting elixirs kombucha (a fermented tea) and kefir (a tangy drink made from fruit of milk) or a fraction of the cost at the grocery store. What is fermentation? In a nutshell it is the use of beneficial bacteria and yeast to preserve food and beverages. In scientific terms, yeast, moulds, or bacteria convert sugar and other carbohydrates to acids, gases, or alcohol. Not only does fermentation preserve foods and enhance flavour, fermented foods are good for digestion. Eating these foods actually improves the balance of good versus bad bacteria in the gut. Numerous studies have documented the benefits of eating pre- and pro- biotic foods, which help to improve digestion and regular bowel function, enhance the immune system, ease anxiety and alleviate allergies. An in depth exploration of essential concepts and processes from around the world by a leading expert in the field. A fun and flavourful guide to making your own pickles, kimchi, kraut and more. Join the growing movement of home fermenters and get great taste and good health with probiotic foods.